Protestantism, Buddhism and Taoism grow fast in China, but followers of the Catholic faith are dwindling. 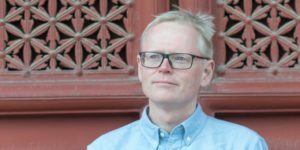 Author Ian Johnson of The Souls of China: The Return of Religion After Mao reports from the countryside on why Catholicism finds it harder to find a solid footprint among Chinese looking for moral values, for the America Magazine. A key reason for this divergence goes back to the issue of localization. The church’s reluctance to indigenize until the mid-20th century contrasts with the explosive growth in the number of indigenous Protestant leaders as early as the 1920s and ’30s. Many were jailed by the Communists, but their followers formed the basis of today’s huge Protestant “house church” movement. For better or worse, Protestantism in China travels lightly, with self-taught pastors forming churches and attracting large congregations in only a few years. This sort of spontaneous institution-building is harder to realize in a more formally structured faith like Catholicism. This is especially true because of China’s state control over religion. In the 1950s, the Communist government set up patriotic associations to control all five religious groups in China—Buddhism, Catholicism, Islam, Protestantism and Taoism. These committees now manage mosques, temples and churches, appoint key clergy, and run seminaries. For groups like Protestants, government control is a burden, but they are more decentralized, so they can ignore hierarchies and flexibly respond to demand. Put simply, any pious believer can form a Protestant church and declare himself or herself head of it. That is harder for Catholics to do. After the Communists set up the Chinese Patriotic Catholic Association in 1957, state officials began appointing their own bishops. Many Catholics began to feel uncomfortable about attending churches under government control and some stopped going. Others set up an underground Catholic Church in certain parts of China. This church does not recognize the “patriotic” church’s legitimacy. But even the underground church has a fairly rigid hierarchy, with appointments requiring approval by highers-up in China. Over the years, the split between the “open” and the underground church has become less pronounced, especially after Benedict XVI’s letter to the church in China in 2007. In it the pope essentially said the underground church should not be a permanent institution (“the clandestine condition is not a normal feature of the Church’s life”) and that Catholics can participate in services offered by the state-recognized church. But state control over religion is still problematic, hampering growth and regularly spilling into public view. In 2012, for example, the government appointed Thaddeus Ma Daqinauxiliary bishop of Shanghai. But Bishop Ma announced his resignation from the Patriotic Catholic Association at his episcopal ordination Mass—apparently a protest against the government’s regulation of religion. He was put under house arrest at the Sheshan Seminary, where he largely remains today, a situation that shut down one of the country’s most important seminaries for over a year. More at the America Magazine.